Why I am an independent insurance agent? There are so many reasons why I am an independent insurance agent that I had to put pen to paper so to speak. I am currently sitting in the San Antonio airport on Sunday morning after attending an amazing insurance conference the past two days. I had an opportunity to meet with 120 plus other independent insurance agents from all over the United States, and even one gentleman from Canada! As I sat in the room of the Menger Hotel in downtown San Antonio I looked around and saw people who have the same passion, desire, and drive that I have. You may ask yourself how can someone who sells insurance have passion, desire, and drive when they work in what may be one of the most boring industries in the country. Now I will say that whenever my wife and I meet new people I always joke that we have the two most boring jobs of any married couple. I sell insurance and she is a tax accountant. I promise you what I do is not boring. Without the insurance industry people would not be able to buy a car, buy a house, or make sure that when they are no longer on this earth that their family is taken care of. What really matters most though is that I truly believe that what I do makes a difference in your life when you are at your worst possible moment. This could be getting into an accident with your first brand new car. This could be watching your restaurant engulfed in flames on an early Friday morning. This could be receiving a call that your loved one has passed away and you don’t know how you are going to pay your bills in the future. Whatever the situation may be I want you to know that I am here for you and being an independent insurance agent allows me to do that. The bonds, the relationships, and the friendships that we form with you as our clients is one of the many reasons that I continue to wake up each day and drive my Smart car to the office. Now before I go on I do want to be as personal and raw as possible with you all. 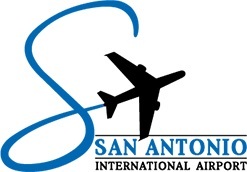 Before I got on my flight last Wednesday to come to San Antonio I decided to schedule email to go out to all of you asking that you follow us on social media and leave reviews for us online on Sunday morning, 01/31/16. As I sit here and read them on my phone I am beyond grateful for the words that you wrote. You have no idea how much it means to me. So often I receive calls from people telling me how much insurance is a legal form of robbing people, or that insurance companies/agents are all crooks, or that insurance is the worst bill that they have to pay each month. Those words truly hurt me in a way that I can’t fully describe to people because it feels like I’m being personally accused of those things. Reading all of these reviews on Facebook and Google has caused me to hold back the tears so that the people sitting around me don’t think that there’s something wrong with me as I type on my laptop. What I ask of you is this going forward, and this was not my intention as I sat down to write this blog. I ask that you make it a point to tell someone in your life today how much they mean to you. In today’s society we are too quick to speak negatively and slow to speak positively. I hope that this will inspire you today because it has for me. Now that I have collected myself after a short 47 minute flight I need to get back to the true purpose of this and to tell you why I am an independent insurance agent. I am a small business in your community. I attended the Apex Elementary School, Apex Middle School, Apex High School, and Southeast Raleigh High School; so I know what it’s like to live in your community. When you call me I don’t ask you for a customer or billing number. I ask for your name because you are a person living in my community. I offer you choices and options, and yes there is a difference, because I care about you in our community. To me the ultimate reason I am an independent insurance agent is because of community. That is why whenever you refer a family member, friend, co-worker, or acquaintance we make a donation to a local charity. We are currently partnering with CORRAL Riding Academy for this year and we hope to expand our community outreach to more local charities in the coming year. There are many options and choices for who you trust your most valuable assets with each year. I am eternally grateful that you have chosen the Lipstone Insurance Group as your independent insurance agent. Our goal is to find you the coverage you need, the experience you deserve, and all at a fair price. Our mission is to become a pillar in our community so that we can better it and ourselves. I want to thank you again from the bottom of my heart for being our client. At the end of the day what truly matters is the relationships that we have and the imprint that we leave on the people we interact with.